This is Chikara Saito. 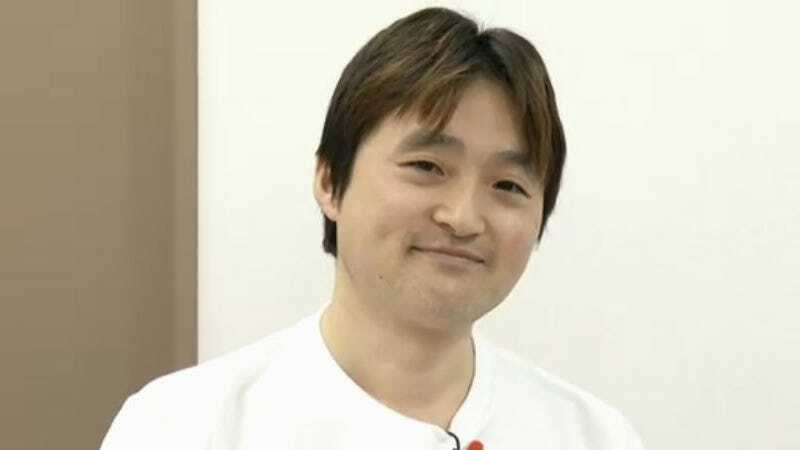 Fans call him “Rickey.” He’s the director for Dragon Quest X Online. In the above photo, which dates from a while back, he looks healthy and happy. But now, people are concerned about him. I am, too. Thinner. Dark circles under his eyes. This man needs a vacation. Rickey has been rather open on Twitter, mentioning last year that he had irritable bowel syndrome, which can be brought on by stress. People work hard in the video game industry, especially in Japan, but Saito’s appearance has caused enough concern that a shareholder actually asked about it at Square Enix’s most recent stockholders’ meeting in Tokyo this summer. The executive producer for the Dragon Quest series Yuu Miyake replied that he was also worried about Rickey’s complexion and that this year, compared to last year, he has more compulsory days off. Square Enix honcho Yosuke Matsuda added that the company was making an effort to deal with the work-life balance for its development staff. Let’s hope so.